After three ground-breaking albums of red hot fusion of latin salsa rhythms and rock electric guitar, Santana changed their line-up slightly and also their style, slightly, releasing this now classic album of extended jazzy, stream of consciousness largely instrumental workouts. 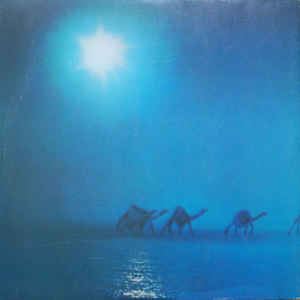 Yes, the trademark percussion is still there, particularly on frenetic cuts like "La Fuente Del Ritmo", but much o te material is quite trippy, meandering but infectious journeying into slowed-down jazzy guitar sounds, freaky keyboards, man, and intoxicating rhythms, such on the captivating closer, "Every Step Of The Way". It is almost classical in its powerful, dramatic execution, full of surging keyboard riffs, wonderful Carlos Santana guitar and frantic percussion. There are only three tracks with vocals, the evocative "Stone Flower", the psychedelic "All The Love Of The Universe" and "Just In Time To See The Sun". The album had no hit singles and, listening to it, you feel that sense of intense seriousness. I remember at school when this came out, I was fourteen at the time. There was one boy who carried this album around under his arm. Looking back, that was a remarkably mature choice for a fourteen year-old. The album is full of musical complexity but it utterly uncommercial. 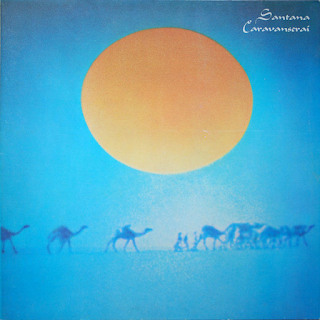 After their triumphs at Woodstock in the late sixties, the release of this started a downturn in Santana's popularity. They became a band for the discerning members of the cognoscenti for a while, until a renaissance in the late seventies with their cover of The Zombies' "She's Not There" and a further one in the late nineties with "Supernatural". That said, listen to this a few times and it starts to get into your bloodstream. Its pulsating rhythms, improvisation and sheer musical adventurousness have gained it considerable critical kudos in subsequent years. The album is unpredictable, beguiling and highly listenable. Just don't expect a singalong - sit back and try to absorb its sheer brilliance. Take two tracks like "Waves Within" and "Look Up (To See What's Coming Down)" as examples, then the power of the intro to "Just In Time To See The Sun". That guitar on "Song Of The Wind" and the cymbal work behind it. Phenomenal stuff. Highly recommended. They really don't make music like this these days. Wonderful cover art too.